"We always want our heroes to be better than their times, to hold the enlightened views we have achieved one hundred, fifty, ten years later." Luisa "Lu" Brandt's childhood is one of both tragedy and triumph. Her mother died one day after giving birth to Lu, leaving Andrew Jackson Brandt to raise her and her older brother AJ. Mr. Brandt never adapted to the domesticity that being a single father demands, but he did fiercely love his children. Never having a true female role model, other than the family housekeeper Teensy, Lu struggled to find her place in the world. Even in the idealistic community of Columbia, teachers and students were hesitant to accept Lu for the individual free spirit that she was. Throughout the tribulations of adolescence, Lu learned that family was the only thing in life that would never waver. This lesson was cemented into her being on the night that AJ killed a local townsman while defending a friend. Her father used his influence as the State's Attorney to see that the incident was swiftly resolved and didn't cause any unneeded trauma to his son. Years later, Lu finds her life coming full circle. After her husband's untimely death, she relocated herself and her twin children back to her childhood home. Not long after the move, she was elected to hold the very same office her father held years ago. With the shadow of her father's highly revered career looming over her, Lu hits the ground running by taking on a murder case. The incident of a mentally unstable drifter killing a local young woman seems like the perfect way for Lu to assert the power of her new job. But new revelations force Lu to face inconsistencies in her own past and call into question the memories that she holds dear. Readers of Laura Lippman's novels have come to expect intricate mysteries that keep the pages turning and our imaginations working. While Wilde Lake certainly does its part to keep this tradition alive, it is much more a family drama than a conventional thriller. As the story unfolds, the relationship between Lu and her father and brother takes center stage. Yes, there is a mystery that will keep you guessing to the very end, but this mystery is not the central focus of the novel. Rather, the murder case is used to advance the development of the the true nature of the family's narrative. The novel alternates between past and present. The present day sections read like many of Lippman's past efforts. Lu is a flawed character who we can't help but connect with and root for. It is in the sections about Lu's childhood where Lippman offers something refreshingly different. Echoes of Harper Lee's To Kill A Mockingbird permeate the story of a young girl being raised by her lawyer father. The childlike innocence of these portions only add to the suspense of the present day mystery. As past and present collide, Lippman weaves a poignant tale that comments on family loyalty and the vulnerability of memory. 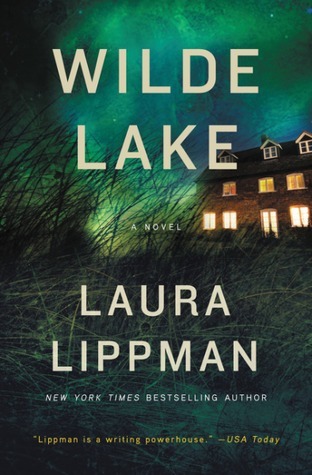 Wilde Lake is a stirring work that proves that Lippman is a master of her craft. To enter to win one of two copies of this novel, use the RaffleCopter widget below. Open to US residents. No P.O. boxes please. Ends 5/17. After being contacted, winner will have 48 hours to respond. This entry was posted on Tuesday, May 3, 2016 and is filed under Crime,Family,Harper Lee,Laura Lippman,Mystery,Thriller,Wilde Lake,William Morrow. You can follow any responses to this entry through the RSS 2.0. You can leave a response. I love mysteries and thrillers, but like that this surrounds a family. Wonderful review Ethan. The mention of To Kill A Mockingbird certainly has me adding this. We never pass up an opportunity to read a Laura Lippman novel--she is consistently top rate. Great imagination, great style--must be wonderful to be part of a family of writers! This sounds like a great book. I would be excited to read it! Sounds like a great book. Thank you for the chance! I have never read Laura Lippman but have heard her mysteries are great! This book sounds awesome, I'd love to read it.